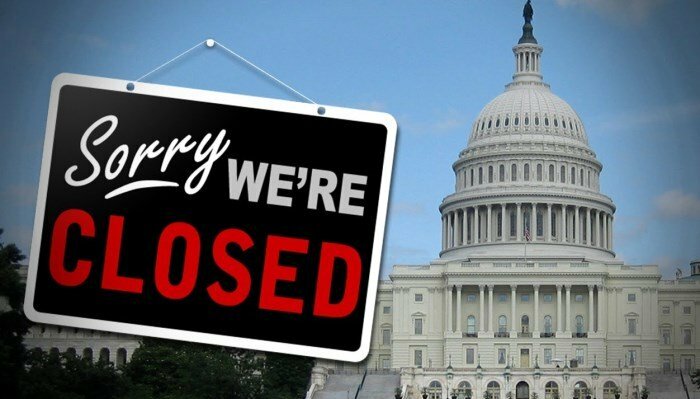 As of this writing, on Sunday evening, the federal government has officially been “shutdown,” due to Congress’s inability to pass any type of budget or spending resolution. Translated this means that approximately 20% (based on the 2013 “shutdown”) of federal employees, deemed non-essential, are on an unscheduled furlough until further notice. At least they will be on Monday morning since most were already due to be off over the weekend. In an apparent effort to prove that all this is nothing but political theatre, any members of Congress that could find a microphone, a reporter, and/or access to their social media accounts spent the entire weekend doing nothing but defecting blame to everyone but themselves. The final straw that led to the “shutdown” was when the Senate voted to reject cloture by a margin of 50-49 (60 yea votes were needed to accept) , this would have led to a final vote on the Continuing Resolution in the Senate that had already been passed by the House of Representatives. On the republican side there is no such corresponding facet that ties all the 5 Senators together and I’ll leave it up to conjecture as to why they voted the way they did. ← What’s Behind Puerto Rico’s Slow Recovery from Hurricane Maria?